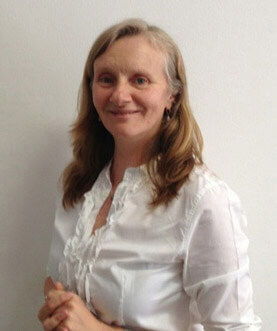 Elena has taught business and general English in Milan for fifteen years, and has also taught in the UK, Hong Kong and Poland. She has taught in a variety of industry sectors, responsible for both individual and group courses at all levels of English. She grew up in England, France and Italy and graduated from Sussex University, England, with a degree in Experimental Psychology. Elena also has an MBA, with specializations in innovation, finance and marketing, as well as a DELTA (Diploma in English Language Teaching). She worked for 2 years in Poland as Director of Studies for a large language school managing a team of 20 teachers, including teacher training and course development. She also worked for the British Council in Milan for 3 years where she was responsible for general English courses. She has worked for the last 10 years as a management consultant specialized in organizational innovation with large multinational companies in the defence and technology sectors. She has also worked as a management skills trainer and has delivered training and coaching in customer services, sales, public speaking and time management skills.